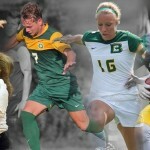 The Belhaven Blazers’ athletic teams have a long history of excellence. National championships, conference titles, numerous national tournament appearances – all have been a common occurrence for the Green and Gold as a member of the NAIA. Beginning with the 2015-16 athletics year, Belhaven will be competing in a new arena- the NCAA. The Blazers will be members of the American Southwest Conference – made up of small colleges in Mississippi, Arkansas, Louisiana and Texas. “I’m thrilled we have reached the start of American Southwest Conference membership. 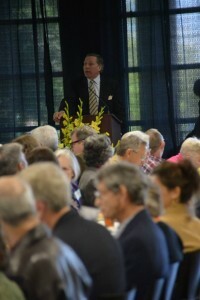 We could not have a better new home than the ASC,” said Belhaven President Dr. Roger Parrott. “The character of the schools and the commitment to student-athletes blends seamlessly with Belhaven’s priorities. The ASC is part of NCAA’s Division III – the largest division in the NCAA. Prestigious institutions such as the University of Chicago, Johns Hopkins and the Massachusetts Institute of Technology call Division III home. The benefits of a new athletic affiliation will be felt immediately. For example, Hal Mumme’s football squad recently released its 2015 schedule. Six of the Blazers’ first seven games will take place either at home or in the Jackson metro area. Belhaven will open its season on a Thursday night, September 3, renewing a rivalry with Millsaps. The following week, the Blazers will host one of the biggest games in school history, as three-time defending Division III national champion Wisconsin-Whitewater comes to Newell Field. After defeating Mississippi College 32-14 in last season’s home opener, Belhaven will face the Choctaws in Clinton. Other fall sports – men’s and women’s soccer and volleyball, also announced their schedules. The men’s soccer team will open with William Carey on September 1, while the Lady Blazers will take on Mississippi College on September 3. Volleyball will open its Division III era in Memphis, taking on Rhodes College on September 1. As the athletic department makes a full transition to NCAA Division III, the Blazers will also become members of the National Christian College Athletic Association (NCCAA). 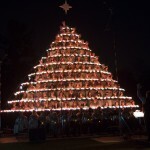 The NCCAA is an association of Christ-centered collegiate institutions whose mission is to use athletic competition as an integral component of education. The NCCAA will provide its student-athletes postseason competition opportunities as it transitions to full membership status with the NCAA. It’s always a great time to be a Blazer, and this exciting transition will benefit all of our student-athletes in our 17 intercollegiate sports. Graduating seniors, the time is here. 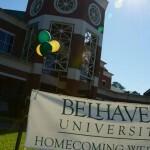 Belhaven University will host its commencement exercises on Saturday, May 9 at Thalia Mara Hall. The traditional ceremony will begin at 9:30 am. Adult, graduate and online students will be honored in a 2:30 pm ceremony. Ceremonies are ticketed events, and are not open to the general public. Mrs. Robbie Hughes will be the featured commencement speaker. Hughes has been a delegate to the Republican National Convention and has been recognized as a Philanthropist of the Year by the Mississippi Chapter of the Association of Fundraising Professionals. Her $4 million gift to the university helped to build the new University Village, which is set to open in the fall. The Alumni Reception is scheduled for 5:30 pm on Friday in the Student Center lobby. The event is open to those who have returned their RSVPs. Graduates will also be recognized with a baccalaureate service on Friday night. The event will begin at 7:30 pm and take place at Redeemer Presbyterian Church in Jackson. In this technology-driven world, staying ahead of the curve is more important that ever. Universities across the nation, including Belhaven, have invested resources into building engaging social media communities. 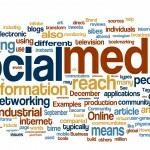 Social media can be a great equalizer in today’s competitive marketing environment. 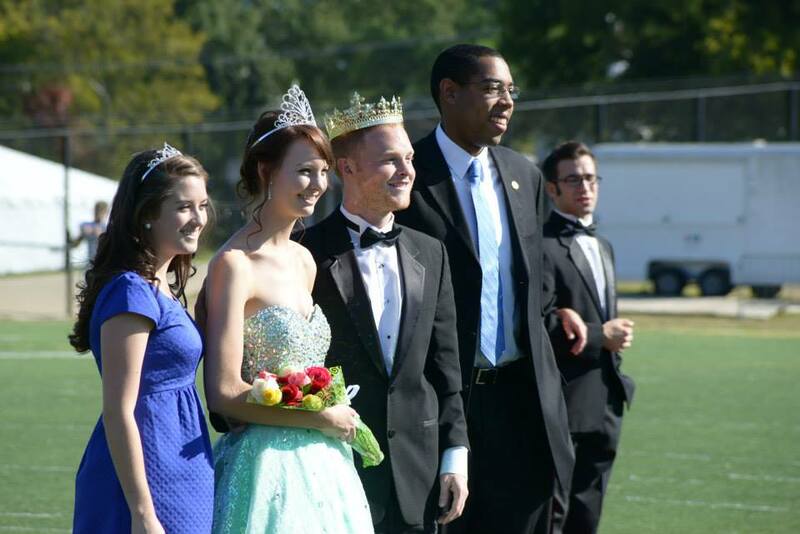 Belhaven’s social media efforts were honored as the top in the state (besting all private universities and the larger state universities) by the College Public Relations Association of Mississippi. Our Facebook page is one of the nation’s most engaging. 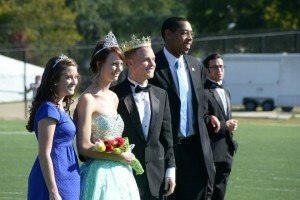 But what happened one recent afternoon took Belhaven viral. Construction crews have started on the $9 million University Village, which will be a state-of-the art, high-end apartment complex located in the middle of campus. One of the challenges that we knew we would face is how to get the heavy equipment to the construction site. On the afternoon of August 19, it became a little less challenging. Construction crews were unable to make the turn without hitting the guard house. As the video shows, the guard house was completely destroyed. After reviewing the video, and being thankful that no one was injured, we decided to release the video on our YouTube channel and our Facebook page. The video have been watched over 85,000 times, including almost 50,000 in the first 24 hours! All of the local Jackson news stations, as well as national cable outlet MSNBC and stations as far away as North Carolina and Rhode Island picked up the video. We saw traffic on our website and our other social media channels grow as well. 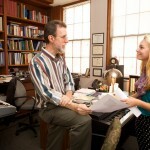 Social media is now a very integral part of a university community. Our students are as likely to find us on Facebook as they are our website. In addition to our YouTube and Facebook pages, the university maintains official Twitter and Instagram accounts, @belhavenu . If you are a member of a social media community, give Belhaven a like or follow and keep up with all the news and events happening from campus. You never know, another guard house could be knocked down.